Lolo may be a virgin, but she's no Steve Carell. She went over the top (of a hurdle) when she compared herself to the 40-year old virgin. 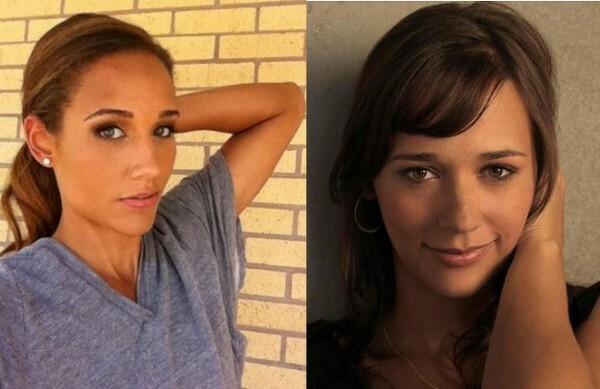 Maybe she got herself confused with Rashida Jones, whose role on the office was like microwaved tofu, hot but bland. While one of them might get a gold medal, neither of these babes is going home with a Dundie. I've definitely noticed this resemblance. What do you think about Lolo Jones and Jessica Ennis?